This is the pattern for the “harvest apron” project that I showed in yesterday’s preview photos. It’s the same pattern that we used to make the reversible hairdresser’s apron (published here on ChellyWood.com in July of 2017). 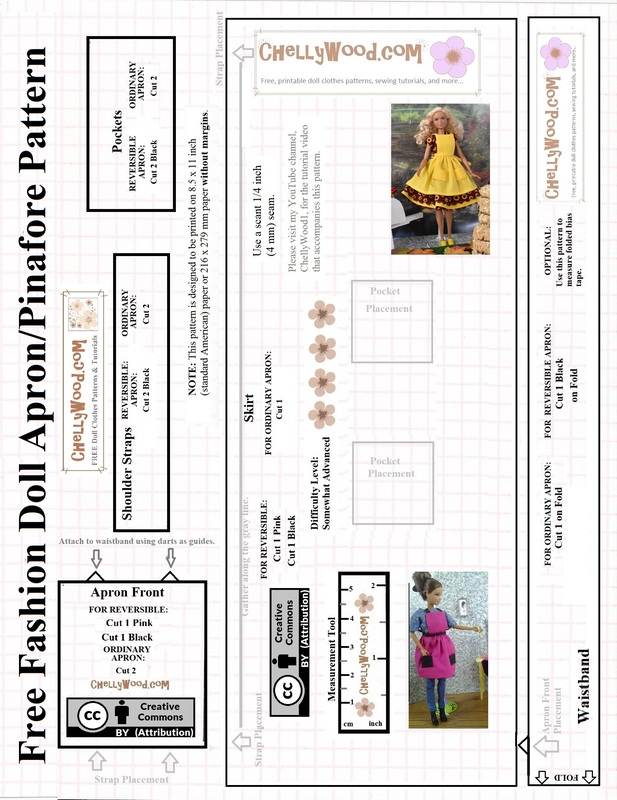 However in the latest project, I’ll be using this pattern as a one-sided apron–almost more of a pinafore–over the top of my sunflower dress for 11.5-inch fashion dolls (like Barbie, Disney Princess fashion dolls, Queens of Africa dolls, and similar-sized dolls). Tomorrow I’ll be posting the latest tutorial, showing you how to use this pattern to create the yellow apron shown in yesterday’s preview. I hope to see you then! So when I get a little vacation time (maybe during my Thanksgiving or Christmas holiday break November-December), I plan to take the time to re-organize my website. Some links may be lost in the redesigning, so if there are patterns you really want to use, I suggest downloading them before this website remodel takes place. 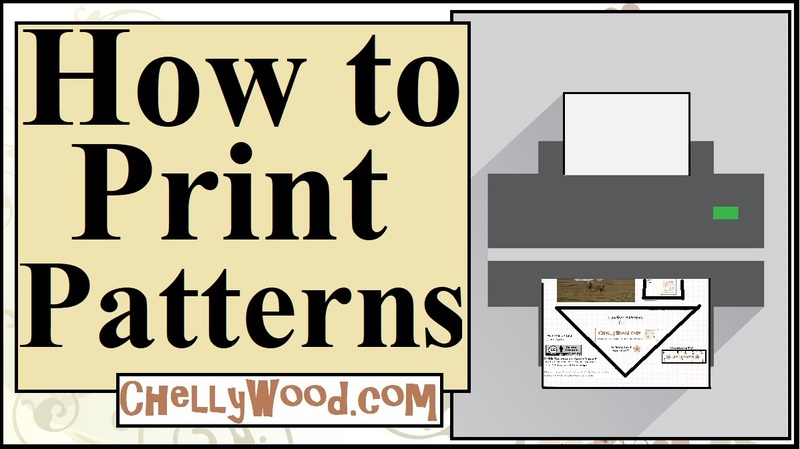 Of course, if you ever have difficulty locating a pattern or tutorial on my website, feel free to contact me using my Submit a Question form. I’d be happy to email you with attachments or links to the pages you’re seeking. Also, I now have a mailing address, which can be found on my “About the Author” page as well as on this recent blog post.